We all know that in its history of more than 100 years, Alfa Romeo has made a lot of beautiful cars. But perhaps not everyone knows that one of them was in production for almost three decades without any major changes. 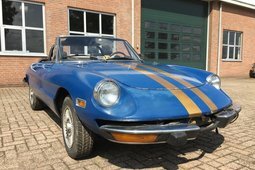 And those three decades seem even more impressive when you know that it was a two-door, two-seat roadster – there were certainly not many cars of this type that managed to stay on the conveyor belt with the original body from the 1960s to the 1990s. 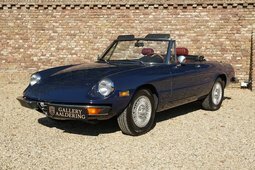 In the 1960s, Alfa did well with the Giulietta and Giulia series, and their top-of-the-range model was the open two-seat Giulietta Spider, which was designed and made by Carozzeria Pininfarina. It was a sales hit, and even with constantly increasing production capacity, Pininfarina just barely managed to meet demand. 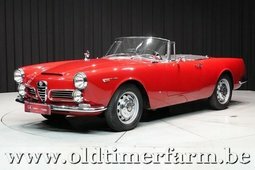 However, the lines of the Giulietta were already a bit outdated, so Alfa Romeo sat down with Pininfarina at the drawing board and created what we now know as one of the best affordable Italian cult cars around. The new fruit of their cooperation was shown at the 1966 Geneva Motor Show, and a competition to name the car was also announced. Having received more than 140,000 entries with suggestions like Lollobrigida, Bardot, Nuvolari, Al Capone and even Stalin, they selected "Duetto", and the person who proposed the name got the car that he had named as a prize. "Duetto" reflected the philosophy behind Alfa Romeo's new model perfectly – after all, the entire pleasure was designed for two. The first versions were named Duetto, but the Italians didn't do their homework – it turned out that the right to this name belonged to an Italian cookie manufacturer as well as to Volvo in other countries. They therefore had to go back to the old name of Spider, which in Italian means a car without a roof. 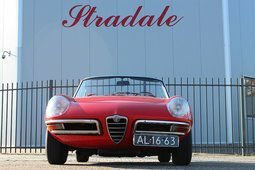 However, this story about the name was probably the only failure that Alfa had with the Spider, because the car itself turned out to be more than excellent. A double overhead cam aluminium engine, four wheel disc brakes, a five-speed gearbox, accurate steering and a precisely balanced chassis guaranteed it the name of "the poor man's Ferrari", and this was only meant in a good way. 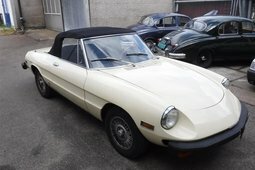 As soon as it went on sale, the Alfa Romeo Spider became a match for the Jaguar E-Type, because although the Brit was faster, customers were happy to buy a car from Italy by Pininfarina that cost the same amount. 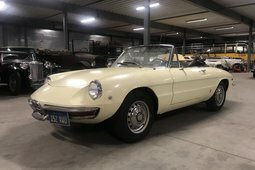 The 1966 Alfa Romeo Series 1 Spider 1600 had a 1.6-litre, 109 hp engine; this was followed by the Spider Veloce with a 1.8-litre, 118 hp engine and the more affordable 1300 Junior version which had 1.3-litre and 89 hp. Series 2 came out in 1970 with some cosmetic improvements to the appearance and a cut-off tail, called the "Kamm tail". Meanwhile, the Spider Veloce also got a new, 2.0-litre, 132 hp engine. Another update came along in 1982 with a new model called the Graduate; incidentally, this model was named after the 1967 film which featured Dustin Hoffman speeding around in an Alfa Romeo Spider to the tunes of Simon & Garfunkel. However, the best news for petrolheads was that the Quadrifoglio Verde (Green Four-leaf Clover) symbol, which had marked exclusive Alfa Romeo models since 1923, was brought back in 1986. The three-decade epoch of the Spider concluded with the Series 4 that was produced in 1990–1993; this model was given an automatic transmission and full-width plastic bumpers the same colour as the car. 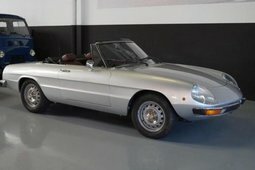 The final 190 Spider Commemorative Editions were sold in the United States as a 1994 model before the brand-new 1995 Alfa Romeo GTV/Spider was launched. 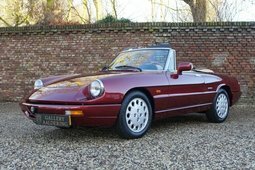 From 1966 to 1993, Alfa produced 124,000 of these beautiful convertibles, so even if the cars did not have the best anti-corrosion protection, quite a few of them are still around. You can get a Series 3 or 4 in good condition for EUR 10,000–15,000, and earlier models can go for two or three times as much. 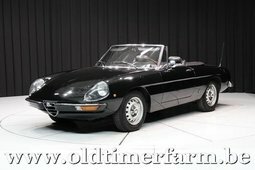 It's nice that the Alfa Romeo Spider still guarantees the same thing that it did 50 years ago – style and pleasure for two at a fair price.